This breakfast is everything that you've been wanting in a meal: easy to make, delicious, healthy, hearty, and convenient! 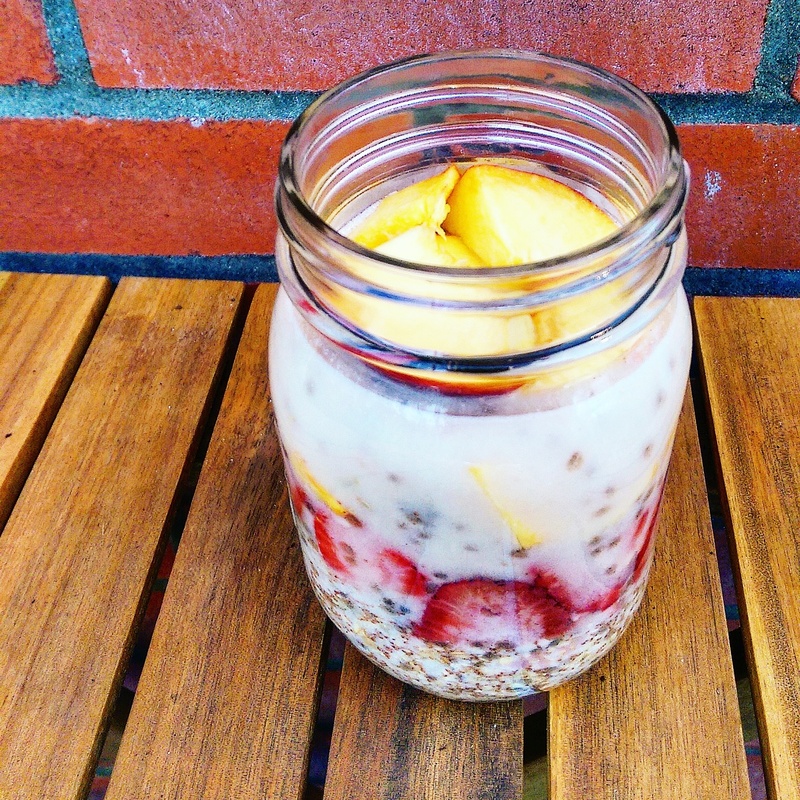 Mason jars help create a no-spill, grab-and-go breakfast for those mornings where you just don't have the time to cook, a.k.a. every morning. Mason-jar meals have been quite the trend on Pinterest lately, I figured it was time that I hop on the bandwagon. A girl's gotta stay on fleek! (Never let me say that again.) Oh, P.S., it's naturally vegan and gluten free. What's extra-awesome about this recipe is it allows you to change the ingredients based on the season. Summer? Strawberries and peaches! Autumn? Plums and pears! Winter? Dried fruits! Cinnamon is delicious with all of the above, so I highly recommend using it. Combine all dry ingredients in medium mason jar (if using dried fruits, add them now!) Pour boiling water over the top & stir lightly. (Do not shake, as the contents will stick to the sides!) Cover and let sit for about 30 minutes (until the jar comes to room temperature) then transfer to the fridge overnight. In the morning, add the milk and fresh fruits. Heat in the microwave in 30 second intervals if desired.